This fun, pocket-sized and practical guide is jam-packed with helpful tips on how to remember those all-important medical facts crucial to exam success and invaluable throughout the medical career. 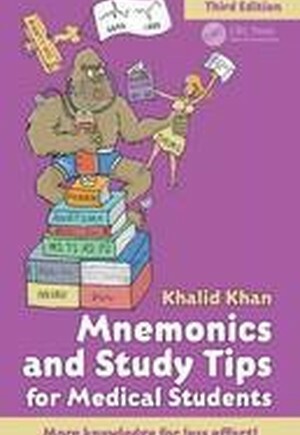 New to this edition are 35 additional mnemonics, more information on prescribing, a section on the use of 'smart drugs' when studying, additional SWOT boxes and an improved interior layout with more colour for added clarity. The third edition remains an essential read for every medical student. BASIC MEDICAL SCIENCES. Anatomy. Biochemistry. Physiology. Pharmacology. Microbiology and Infectious Disease. CLINICAL SPECIALTIES. Chemical Pathology. Medical Specialties. Paediatrics. Surgery.